Most of the time it is hard to say what was worst; communism or fascism. However, sometimes it is really easy. Communism was the worst. If fascist states have one thing going for them, it is their superiority in the automotive industry. Germany alone had more car companies than the Soviet Union had car models. The car industry thrived under Hitler. Germany had Opel, BMW, Volkswagen, Porsche, Mercedes-Benz, and Bugatti. Even the fascist state of Italy had Alpha Romero, Maserati, and Fiat, and eventually led to the creation of companies such as Ferrari, Lamborghini, and Pagani. Russia however was not so fortunate. From the beginning of Stalin’s rise to prominence in 1922 as General Secretary of the Communist party the Soviets began a tragic downfall in regards to their automotive industry. Their only noteworthy car company, Dartz Motorz Company was halted until 1998. From then on the USSR produced only a select number of cars and types of cars until decades later. Their automotive section is still crippled comparatively to other superpowers. 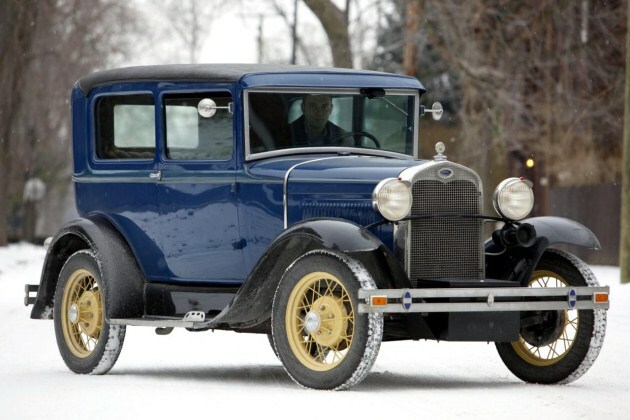 “Between the beginning of Stalin’s power until a little after WWII, the soviets only manufactured two types of cars in the largest factory in Europe; the Ford Model A and the Ford model AA truck(1)”. The truck saw far more production since it was useful during the war and for moving items. After the War, Stalin approved of a few more cars; the GAZ Podeba, the Moskvich, and the ZIS-110 and its armored and convertible variants meant for only the most important people in Soviet society. The ZIS-110 were built in the Stalin Factory in Moscow with Stalin owning five armored versions. For the average Soviet citizen, acquiring a car was very difficult. First they had to have enough money for the car, which was between 9,000 and 16,000 rubles. It would take the average Soviet worker over two years to acquire that money; if they didn’t spend a single ruble on anything else. If the citizen managed to have enough money, they would still have to wait for the car. 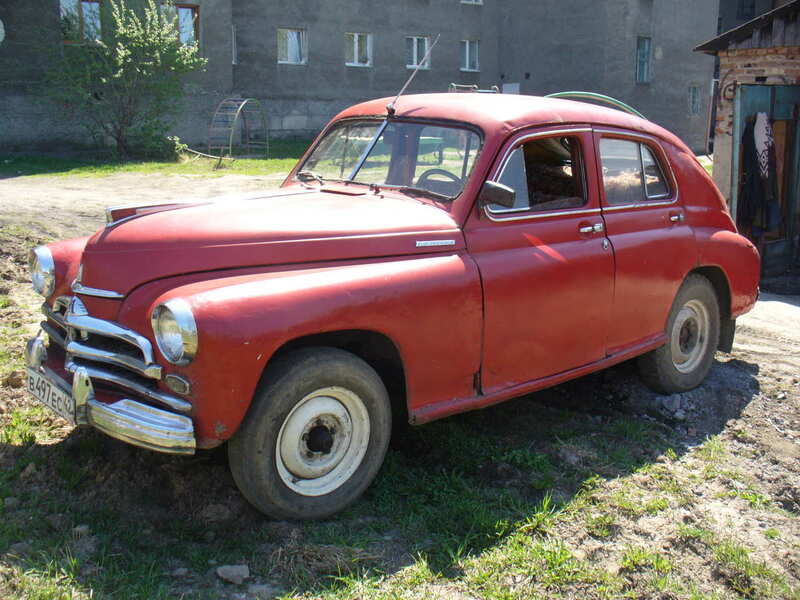 Car production in the USSR was very low and the demand was very high. “Trade unions organized waiting lists that could mean the deferment of one’s dreams of owning a car for upwards of six years”(1). The next car model didn’t come until the late 50’s with the Zaporozhet. The automotive system within the USSR changed very little under communism. Unfortunately there is no happy ending to Russia’s poor automotive history. They still produce very few cars and have a horrific interstate system. This legacy of automotive superiority/let down has lasted to this day, as nobody would say I’d rather have a Russian car over a German or Italian car. (unless you’re a dictator and want a million dollar armored Dartz SUV). 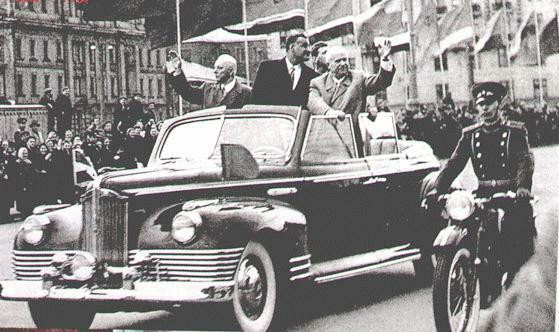 ← The Soviets Loved to Drink…Champagne? Great post on the auto mobile industry! This is also a great example of how the Soviet economy worked. What other areas of the economy did Soviet production ultimately fail? What a funny and informative post! Who would’ve thought that your political system was so influential on your motor industry? I especially liked the connection between the car models and the classes. Great Job! Love this topic! Cars are a major indicator of how a country is doing economically, and this definitely relates to that concept. It’s so interesting to see how car production in Russia really hadn’t changed very much. I found this post very interesting since I know little about cars and their history. I thought it was funny that the factory was named after Stalin, even though it was a struggling industry. This might be my favorite blog of the semester so far. I find it bizarre that the U.S.S.R. did not put forth more effort into car manufacturing; with such a large country, reliable automobiles must have been a prized possession. I also feel like the thriving auto industry in Germany would have inspired Stalin into trying to compete earlier on, but I guess he had other priorities…..
Great post. This was actually a pretty fun read. I have always heard that the Soviet automobile industry was awful, but I have never read into it. It is crazy to think that the party had to approve of makes and models for production, and that wait list times were nearly six years for the public. It is strange to think that a country who wanted to modernize and compete with the world, especially in industry, wouldn’t allow for more innovation. Their space program was far more elaborate than their auto industry, which seems to be the basics of what empowers the general population of a country to move around independently. This was a very cool post and a very interesting on going problem for Russia. I had not thought about the fact that nearly all major world powers have their own thriving car companies, however Russia has been severely set back since the Bolshevik Revolution. I wonder how or if Russia’s car industry will ver be able to recover.